Darren Abbott began his career with the LA Kings in 2010 when he was named President of the Manchester Monarchs. 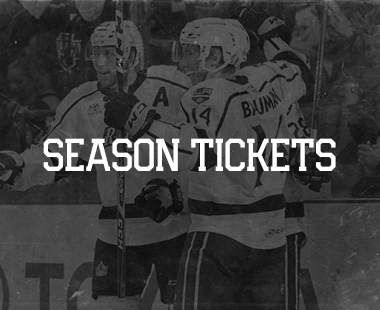 In 2015 Abbott moved with the Kings top affiliation to Ontario when the American Hockey League’s Pacific Division was created. 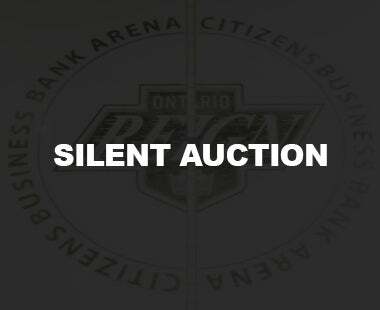 In his new post as President of LA Kings Affiliates, Abbott oversees business operations for both the Ontario Reign and the Eisbaren Berlin of the DEL. 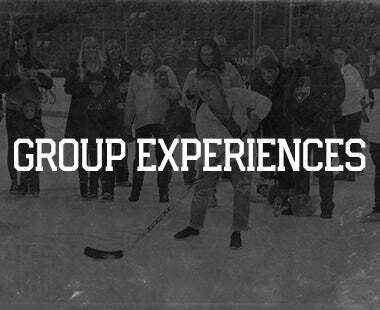 As Senior Vice President of Revenue for AEG Sports, he has oversight of the LA Kings Ticket Sales and Hockey Development Departments as well as the new AEG Sports Inside Sales Academy in Downtown LA. Before joining the Kings organization, Darren was the President of the South Carolina Stingrays of the ECHL from 2006-2010. Abbott was the recipient of the ECHL Executive of the Year award in 2008 after being a finalist for the honor in 2007. Prior to being named President of the Stingrays, Abbott was the Director of Public Relations and Broadcasting for seven seasons with the team. He earned the league’s Broadcaster of the Year award in 2003, and the ECHL’s Public Relations Award in 2000 and 2001. The native of Canton, NY played Varsity Hockey and graduated from Mount Allison University in New Brunswick in 1991. He currently serves on the Board of the Inland Empire Ronald McDonald House and the Hope Reigns Foundation. Abbott resides in Claremont, CA with his wife Claire and three sons, Charlie, Harry and Max. Steve Fraser joined the Ontario Reign in April of 2015 specializing in Business Operations and Finance. He was promoted to Vice President, Business Operations in September 2018. Fraser began his career in professional sports with the ECHL’s South Carolina Stingrays. Over four seasons he worked his way up to Vice President with the Stingrays and gained extensive experience in the areas of Sales, Marketing, Public Relations, Business Development, Game Operations, and Corporate Partnerships. Prior to joining the Reign, Fraser worked for Crowe Horwath LLP’s Chicago based State and Local Tax group working on various projects for large corporations as well as generating published works on tax law issues. Additionally, he had the privilege of clerking at two law firms while obtaining his J.D. in Charleston, SC. The native of South Bend, IN has his B.S., J.D., and LL.M. Fraser graduated from Indiana University in Bloomington with a Bachelor of Science Degree in Tourism Management. He earned his J.D. from the Charleston School of Law in Charleston, SC and his LL.M. in taxation from the University of Florida in Gainesville. Fraser and his wife, Michelle, along with their two sons, Everest and Noah, are proud to call California home. Katie joined the Reign full time for the 2017-2018 season as a Finance Coordinator after interning during the 2016-2017 season. She graduated from California State University, Fullerton with her Bachelor of Arts degree in Business Administration with an emphasis in Finance. She plans on continuing her education to study Accounting and obtaining her CPA Certification. In her free time, she likes playing and watching sports, going to concerts, and traveling. Ariel joined the Ontario Reign after working in the Sports Media and Marketing Departments at Cal State Fullerton Athletics for three years. Prior to working at Cal State Fullerton, she played Division I softball at Cal State Fullerton for four years. As the starting catcher for the Titans, Tsuchiyama earned All-Big West Conference honors three times in her career while also being one of the team’s leading offensive producers. On top of her athletics, Tsuchiyama earned a Bachelor of Arts Degree in Communications while also minoring in Kinesiology. The La Habra, California, native enjoys coaching softball, practicing photography and hiking with friends. An Inland Empire native, Michael is in his first season with the Ontario Reign. He joined the Reign after working in the Marketing Department of Six Flags Over Texas for three years. He recently graduated from the University of Texas at Arlington with a Bachelors Degree in Marketing. In his free time he likes to spend time with his wife, Bianca, and their son, Michael. They enjoy attending sporting events, hiking, going to concerts, and helping coach a travel softball team. Michael's favorite teams are the Dodgers, USC, Kings, Rams, and Lakers. Haley is entering her first year with the Ontario Reign as an Inside Sales Representative. Haley is currently working towards her bachelor’s degree in communications with an emphasis in broadcast journalism. Haley played college softball at Citrus College and at the University of La Verne. Prior to working with the Reign, Haley worked with the WNBA team the Los Angeles Sparks as a Game Operations team member. The Covina, California native enjoys attending concerts, sporting events, and traveling. Her favorite teams are the Los Angeles Dodgers, the Los Angeles Kings, the Los Angeles Sparks and the Dallas Cowboys. 2018-19 was Mike Salter's first season with the Ontario Reign organization. Born in Riverside CA and raised in the San Gabriel Valley, Mike has over 10 years of experience in customer service. He now puts his skills to use to help Reign fans have the best experience possible when coming to games. 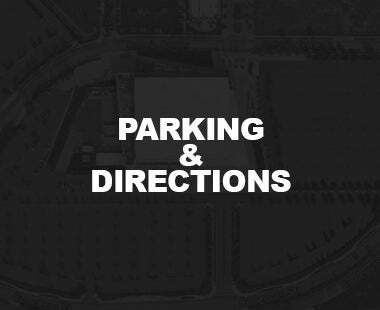 Mike is a Los Angeles sports lover and diehard fan of the Lakers, Rams, Dodgers and of course the L.A. Kings! In his free time Mike enjoys being with his wife Samantha and newborn son Nathaniel. Jordan Watt enters his first season with the Ontario Reign as an Inside Sales Representative. The Corona, California native recently graduated in May of 2018 from Stevenson University with a Bachelor’s Degree in Business Administration. Jordan previously worked for both Sports Information and Gameday Operations departments at Stevenson University while finishing up his degree. He served as captain on the NCAA Division III Men’s Ice Hockey team and has been playing hockey since he started skating at the age of 2. Jordan enjoys being an On-Ice Official for USA Hockey, traveling, and playing Pickleball in his free time. John Payne joined the Reign in June of 2015 after spending the previous two seasons with the Manchester Monarchs. John began his career with the Monarchs as a Public Relations intern in January of 2013. In June 2013, Payne transitioned into the role as an Inside Sales Representative. In December 2013, he was promoted to the role of Account Executive, Ticket Sales & Retention. A native of Vancouver, British Columbia, Payne studied at State University of New York at Canton where he majored in Sport Management and earned a Business minor. During his studies, Payne held positions as the President of the Sports Management Student Association and as the Vice President of the Student Athletic Committee at SUNY Canton in addition to playing for their Division-III hockey team. John currently reside in Highland, California with his wife Nicole and two dogs, Taz and Stella. Austin joins the Ontario Reign for the 2018-2019 season as a Service Executive after serving as an Inside Sales Representative with the LA Kings and LA Galaxy. Prior to moving to Southern California, Austin graduated from the California University of Pennsylvania with a degree in Sports Management and a minor in Business. While in school, he played Division II football as an offensive lineman, and interned with the Philadelphia Union and the Lehigh Valley IronPigs. A native of the Philadelphia suburbs, Austin grew up on a small farm and enjoys everything Philly sports related. Keegan enters his third season with the Reign after moving to the Inland Empire from Cortland, New York and after completing a Sports, Entertainment and Event Management degree from Johnson & Wales University in Charlotte, North Carolina. With the Wildcats, he held the position of Social Chair with the Kappa Sigma Fraternity and served as team captain of the school's hockey team. In his free time, Keegan enjoys golfing, playing hockey for the Riverside Reign, attending sporting events, and rooting for Dodgers, Manchester United, and all things Buffalo. Having been an Inside Sales Representative last season, Nicole is entering her second season with the Ontario Reign as a Service Executive. Nicole graduated from the University of California, Santa Barbara with a Bachelor’s degree in Sociology, a minor in Applied Psychology and a certificate in Sports Management. This past spring, she graduated from the University of San Francisco with a Master’s Degree in Sports Management. Prior to working with the Reign, Nicole interned with USC Athletics, the Los Angeles Rams, and ESPN3/Big West Productions. She also coached girls’ varsity soccer at Rubidoux High School. In her free time, she loves to go bouldering/rock climbing, hiking, and going to sporting events. Her favorite teams are the Dodgers, USC, Raiders, Lakers, and Kings. Rick is going into his second season with the Ontario Reign as a Service Executive, after graduating from California State University, Fullerton with a degree in Business and an emphasis in Sports Marketing where he played Dll Roller Hockey and won the National Championship in 2017. A native of Whittier, California, Rick likes to play adult league sports in his free time and is an avid fan of the LA Kings, Philadelphia Flyers, and the Green Bay Packers. Nate joined the Ontario Reign as Manager of Group Sales & Strategy for the 2017-18 season after spending the previous four years with the Manchester Monarchs, previous AHL and ECHL affiliate of the LA Kings. Nate began his career with Monarchs as an Inside Sales Representative, eventually rising to the position of Director, Season Tickets and Service in 2016. Nate is a native of Bedford, New Hampshire and obtained a degree in Kinesiology and Sport Studies from the University of New Hampshire. Nate enjoys playing golf, going to the beach, and hanging with his dog, Brady. Erica joins the Reign as a Group Sales Account Executive. After graduating from the University of La Verne, she worked as an Inside Sales Representative for the Ontario Reign, and the Premium Sales and Service Coordinator for the Rose Bowl. Erica grew up as a competitive dancer and cheerleader, and continues to coach and teach class in her free time. Born and raised in Southern California, she is huge fan of the Los Angeles Dodgers, Los Angeles Rams, Los Angeles Lakers, and the USC Trojans. Jess joined the Reign last year as an Inside Sales Representative after graduating from Cal Poly Pomona with a degree in Kinesiology. He also attended Mount San Antonio before transferring there and wrestled for two years. Jess is currently working towards his Masters in Sports Management in Southern New Hampshire University’s online program. He enjoys watching sports and weight training and works as a personal trainer and Assistant Wrestling Coach for Rialto High School’s wrestling team. Kylie heads into her fourth season with the Ontario Reign as a Group Sales Account Executive. Kylie graduated from California Lutheran University with a Bachelor’s in Communications. A native of the Inland Empire, she grew up in Upland and currently resides in Ontario. In her free time she enjoys traveling, trying to improve her golf game, spending time with friends, family, and dogs. 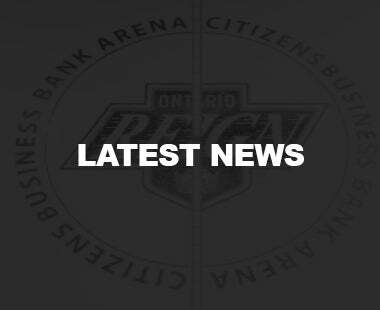 Parker joins the Ontario Reign after a short stint as a sales intern with the organization. A resident of Brantford, Ontario, Canada, Parker attended Liberty University where he majored in Sport Management and was a member of the school's hockey team. He currently resides in Corona with his wife Haley and dog Kona. Doyle joins the Reign after spending the previous four seasons with the Manchester Monarchs of the ECHL and AHL. He began his career in Manchester as an Inside Sales Representative in July of 2012. 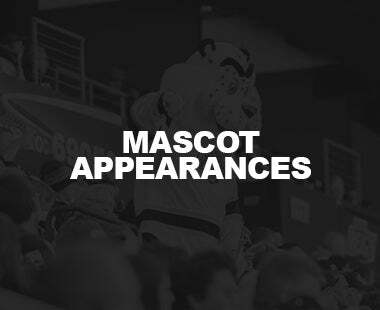 In January 2013, Doyle transitioned into a full-time role as a Group Sales Account Executive and by the summer of 2014, was working in the Monarchs corporate department, transitioning to the Director of Corporate Partnerships role for the 2015-16 season. A native of Norfolk, Virginia, Doyle studied at the University of South Carolina where he majored in Sport & Entertainment Management. During his studies, Doyle was active within his fraternity as social chair, played soccer and interned with SevenVenues, located in Norfolk. Laura Tolbirt is Senior Director of Corporate Sales with the Ontario Reign and has been with the team since February 2009. This is after working with the Inland Empire 66ers Baseball Team for seven seasons as their Director of Corporate Communications. She comes from an extensive background in sports, her career began at IMG Football (International Management Group), under the leadership of sports agents Tom Condon and Ken Kremer. They represented talented NFL athletes such as Joe Montana, Herschel Walker and Peyton Manning. She then transferred from IMG Football to IMG Hockey, under the leadership of sports agent Mike Barnett. They represented talented NHL athletes such as Wayne Gretzky, Jaromir Jagr, Sergei Fedorov, Mats Sundin and Joe Thornton. When the hockey department of IMG was relocated to Canada, Laura wanted to stay close and still work in sports and found the 66ers. Laura is currently the Board Chair for the American Red Cross San Bernardino County Chapter and also sits on the Board of Directors for the Hope Reigns Foundation. She has served on the Board of Directors for the Family Service Agency in San Bernardino and held the treasure and Vice-President seats while on the Board of Directors for the Highland Chamber of Commerce. Cameron Close enters his second season with the Reign following two seasons with the ECHL’s Adirondack Thunder as the team’s play-by-play broadcaster and Director of Corporate Sales. Prior to that, Close began his professional broadcasting career during the 2014-15 season with the Calgary Flames AHL affiliate: Adirondack Flames. Close was the play-by-play broadcaster for the 2017 ECHL All-Star Classic and was named 2016-17 ECHL Broadcaster of the Year. A native of Westford, Massachusetts, Close graduated from the University of New Hampshire with a degree in communications. While at New Hampshire, Close called UNH Wildcat Men’s Ice-Hockey games and was Sports Director for WUNH, the school’s student run radio station. Close enjoys trips to Cape Cod and watching the New England Patriots win football games. 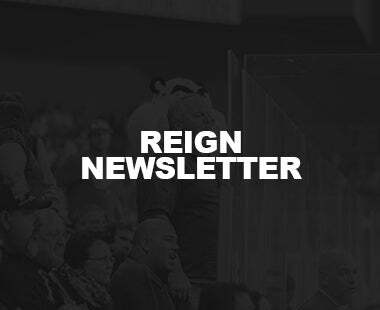 Adam McCutcheon is currently entering his second season as an Account Executive for the Reign this 2017-2018 season. Adam is originally from Rancho Cucamonga, CA where he graduated from Los Osos High School, class of 2010. Soon after he attended California State University, Fullerton where he received a Bachelor of Science in Kinesiology. This past spring, he graduated from the University of San Francisco with a Master’s Degree in Sport Management. Prior to joining the Reign, Adam worked as an intern with USA Water Polo, Inc. in the Sport Development department. He also, held a position with Pacific Sports, LLC. in marketing and operations, and 6 years working at Costco Wholesale in the Major Sales Department. In his free time, he enjoys playing hockey, snowboarding, and watching all sports. Danielle enters her second season with the Ontario Reign after serving as a Community Relations Associate. She graduated from the University of La Verne where she got her Bachelor of Science and Masters in Business Administration. While at the University of La Verne, she worked for the Los Angeles Dodgers as their (first ever) Ball Girl. After graduating, she worked for the Los Angeles Clippers and Los Angeles Chargers in their Community Relations Department. Her recent venture was with a sports agency, where she played a key role in some of the endorsement deals for NFL Players including Casey Hayward, Landon Collins, and SuperBowl MVP Nick Foles. A native of Pomona, California, Danielle is excited to have the opportunity to come back to the Inland Empire and work for the Ontario Reign. During her free time, she likes giving back to the community. She is currently the Director of the Miss Pomona Scholarship Program where she grants young ladies in the Inland Empire Scholarships to attend college. Nathan MacDonald enters his first season with the Ontario Reign as an Account Executive in the newly established Business Development department. He graduated from Butler University in 2018, and interned with the Indy Fuel, Fenway Sports Management, and the Indiana Pacers. Nathan moved to LA to work for the LA Kings Inside Sales team and now resides in Rancho Cucamonga after his recent promotion to the Reign. In his free time, he enjoys video games, space documentaries, and watching Boston sports teams dominate. Jasmyn, a 2008 graduate of the University of California-Riverside, received her Bachelor of Arts degree in Economic Administration with an emphasis in Marketing. 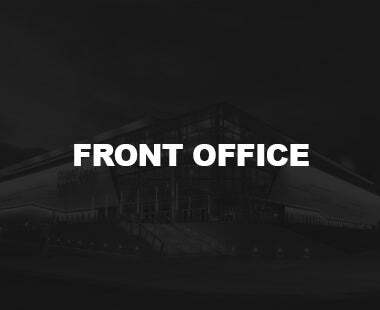 Jasmyn started with the Reign as Ticket Operations Manager was soon promoted to Director of Ticket Operations, and most recently earned the designation of Senior Director of Ticket Operations. Her previous employment was at the University Theatre for three years as a Senior Box Office Representative. Amanda is in her second season with the Reign after working with the San Jose Sharks and San Jose Barracuda. She also worked with the Anaheim Ducks, Florida Panthers and Minnesota Hockey Camps. A graduate from Cal State University - Fullerton with a Bachelor's degree in Business Adminsistration and Marketing, the Riverside, California, native loves to attend concerts, hockey, the beach and Disneyland. 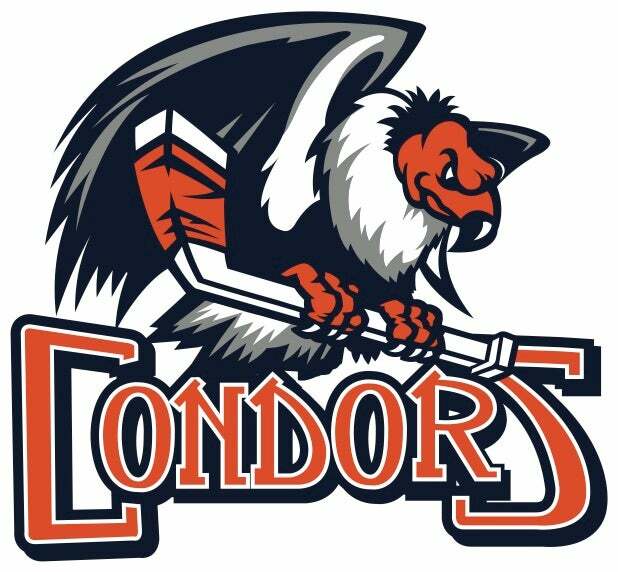 Cristina Loza-Cortes enters her sixth season with the Ontario Reign as a Ticket Operations Assistant. She began her journey with the hockey club back in 2013 as a Sales Intern, two years later transferring to the Game Operations department and now starting this season in the Ticket Operations department. She is also currently working at Starbucks to finish her Bachelor’s Degree through Arizona State University online majoring in Criminal Justice and minoring in Communications. When she isn’t busy she enjoys going to the movies with her family and friends, walking her dog, and of course going to hockey games. Zach Dooley enters his first season with the Ontario Reign following a three-season run with the Adirondack Thunder of the ECHL, where he served as the team’s Director, Communications & Community Relations from 2015 - 2018. Dooley handled all communications and public relations needs with the Thunder and was named as a finalist for the ECHL’s Media Relations Director of the year award in 2016, 2017 and 2018. Dooley has also worked in the AHL with the Adirondack Flames during the 2014-15 season and the Utica Comets during the 2013-14 season. Prior to beginning his professional career, Dooley attended Marist College in Poughkeepsie, NY, where he graduated in 2013 with a degree in Sports Communications. While at Marist, Dooley served as the Sports Editor at the school’s student-run newspaper, The Circle, and completed internships in Upstate New York with the Tri-City ValleyCats and Glens Falls Golden Eagles. Kiley enters her third year with the Ontario Reign as the Marketing Coordinator. She started out as the Ticket Operations Coordinator, and transitioned into her Marketing role last season. She graduated from California State University, Fullerton with her Bachelor of Arts degree in Communications with an emphasis in Public Relations. After graduating, she worked in the Athletics Department as the Assistant Ticket Manager at Cal State Fullerton. The Orange County native enjoys beach trips, going to country concerts, and attending sports games, especially hockey and football. Matthew McElroy enters his first full season with the Ontario Reign after he joined the organization in February 2018 as an associate graphic designer, before he was promoted to his current role in September 2018. McElroy joined the Reign after he spent six years as a freelance graphic designer, which included designing the logo and jerseys for the AHL’s Springfield Thunderbirds, in addition to several specialty jerseys for the team, most notably the best-selling David Ortiz themed jersey. In 2016, McElroy was named as the “Rookie of the Year” by sportslogos.net and has had several designs featured on the website. Prior to joining the Reign, McElroy spent four years as a Guest Relations representative at Disneyland in Anaheim. A native of Hermosa Beach, McElroy has played hockey in Southern California his entire life and he prides himself on his skill level in the Google Chrome Dinosaur video game. 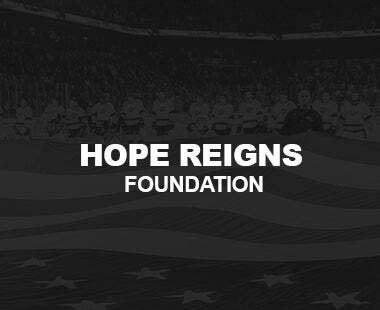 Jamie joins the Reign as the Community Relations Coordinator after holding the Community Relations Associate position at the LA Kings. A native of Marin County, California, she earned a bachelor’s in public relations and advertising from Chapman University in May 2016. In her free time, Jamie enjoys watching sports, particularly baseball, hockey and basketball and enjoys traveling and hiking. 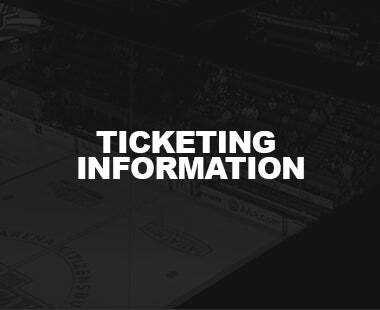 Kiley enters her first season of professional hockey with the Ontario Reign as the Ticket Sales and Events Coordinator. Originally from Flowery Branch, Georgia, she graduated with a Business Education Degree from Valdosta State University. Prior to working with the Reign, she spent 3 years as a Sports and Entertainment Marketing Teacher and varsity soccer coach before spending time as a Marketing and Community Relations Representative for the Boston Red Sox and Cape Cod Baseball League. Kiley grew up playing three sports; softball, basketball, soccer and enjoys watching her favorite teams the Atlanta Braves and Georgia Bulldogs. In her free time, she loves spending time on the lake and traveling. Kristen enters her first season with the Ontario Reign as the Community Relations Assistant after holding a position as an Inside Sales Representative with the LA Kings. Originally from Palm Harbor, Florida, Kristen moved out to California and earned her bachelor’s in Film and Media Studies at UC Santa Barbara in June 2017. While at UCSB, Kristen was a dual sport athlete playing Division 1 Volleyball and Softball. In her free time, Kristen enjoys drawing, boating, playing beach volleyball and watching my favorite teams the Boston Red Sox, Celtics and New England Patriots. Jeff arrived to California by way of Indiana. The Indianapolis native spent the last two years as the Director of Game Operations for the Indy Fuel, AA affiliate to the Chicago Blackhawks. Last season he was awarded the ECHL Game Operations of the Year Award. Prior to his time at the Fuel, Jeff spent time on the West Coast running golf tournaments for the American Junior Golf Association. Graduating in 2016 and 2013 from the University of Southern Indiana (Evansville, Indiana) with a Masters degree in Education and an undergraduate degree in Sport Management. While attaining his degrees, Jeff was the team captain of the Men’s soccer team and the Graduate Assistant to the Universities Athletic Department. Jeff is excited to be in the Inland Empire and a part of the Kings family.